« Bigg Boss 5 Latest: Pooja Mishra evicted from house for her violence towards Sid! The 36-year-old has a plan of action for his stay. “I will try to be myself. I hope to have a lot of fun inside the house and learn more about Indian culture. During my stay I will also try to show a glimpse of the Australian culture,” he says. “I chose to remain clueless about whatever was happening inside. I’m sure people are doing their best to grab eyeballs but I didn’t want to form any opinion before meeting them in person. Now that I am entering, I’ll interact with them and figure life out,” said Andrew, before stepping into the House. 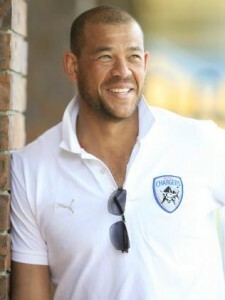 When Andrew Symonds decided to enter the Bigg Boss House, one of the biggest challenges for him was to converse in Hindi. So Pooja Misra, the current season’s evicted contestant, will now step in as his translator. She will stay in the House as long as Andrew is there. It’s Pooja’s second chance to clear her tainted image. The makers of show have at last found a way to reinstate ousted contestant, model and anchor Pooja Misrra. Misrra, who was thrown out of the house on November 26 after a violent scuffle with VJ Sidharth, will be back on the show tonight as a translator for former Aussie cricketer Andrew Symonds, who also enters the house tonight. Incidentally, contestants can only converse in Hindi while inside, which is why Symonds will need a translator. “I am glad to enter the house again and clear my name of all the controversies. I’ll try and give Andrew an insight into Indian culture and teach him as much Hindi as possible,” says Misrra. “Why else will they bring her in as a translator, she was fined for talking in English herself! She’s been brought back just for TRPs,” says ex-inmate Pooja Bedi. “I am sure the channel decided to bring her back for entertainment value! It will certainly be interesting to see her act as Andrew’s interpreter,” says Raageshwari Loomba, who left the show in October. “There’s no one in the house now who’s giving masala to the show, that is why they found a new way to bring her back,” says Shradha Sharma, who was evicted last week. While the channel Colors confirmed the news, they refused to comment on allegations that Misrra was brought back to boost ratings. pooja mishra sould be brought back as a contestant and not just a guest!when dolly bindra could be brought back as a contestant even after really being violent,why not pooja mishra?many others have been more violent than her specially sky. she must be brought back as a contestant!